This weekend I decided to challenge myself to do a quiet quilt. I predominantly use bright colours and fabrics in my quilts so this would be an interesting creative step for me. I was inspired by a great quilt I saw at Red Pepper Quilts (another Aussie). First step was to see what white/cream based fabrics I had in my stash. I surprisingly had a lot to choose from, including some fabulous Heather Ross and wonderful Aneela Hoey. I decided on 4 inch squares for my quilt, and to focus on giving the quilt a scrappy “eye spy” feel… so lots of fun objects in amongst the dots etc. I must admit I struggled a little with laying out the blocks. I found it hard to focus on the flow of the quilt with everything being so low intensity. This is what I ended up with. 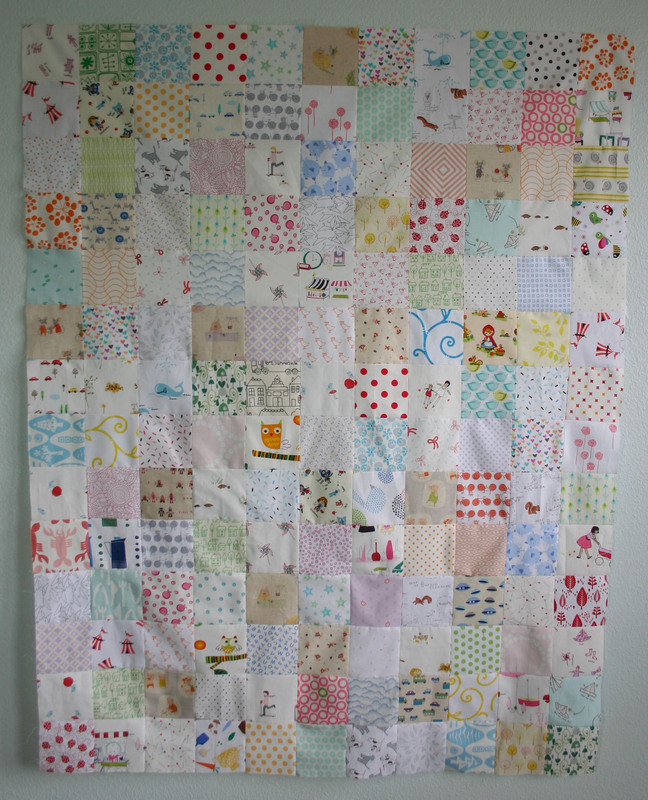 Next step quilting, then binding then off to Project Linus. 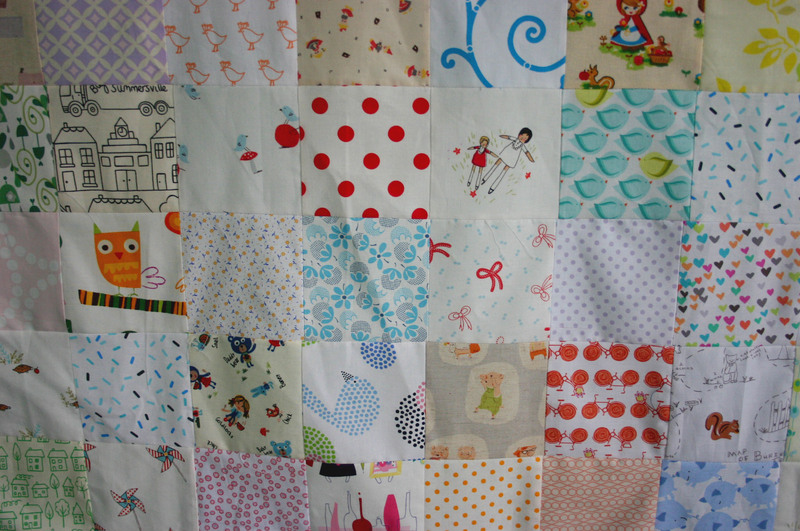 This one made me tear up… it is such a beautiful quilt for a baby or a little girl. I LOVE it! You hit the nail on the head with this one. 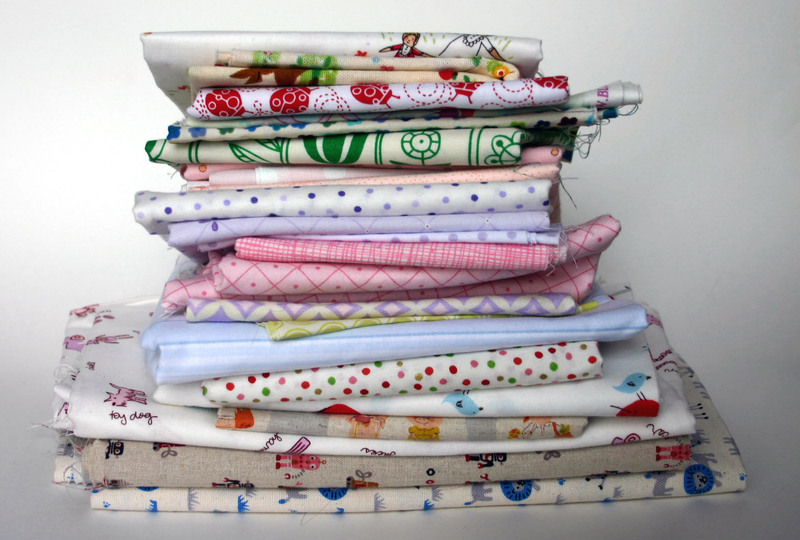 I was googling images for “Scrappy Low Volume Quilt” and seen yours. I said (out loud even) to myself, “This quilt is just as pretty as Red Pepper Quilts.” It’s just the lighting. Oh, you’ve got half the battle won! With the low volume quilts lighting is everything when taking a photograph. This shot was taken with my broken camera but it still turned out. I have just pulled fabric from my stash for another low volume, i am chomping at the bit to make another one. They are so much fun.